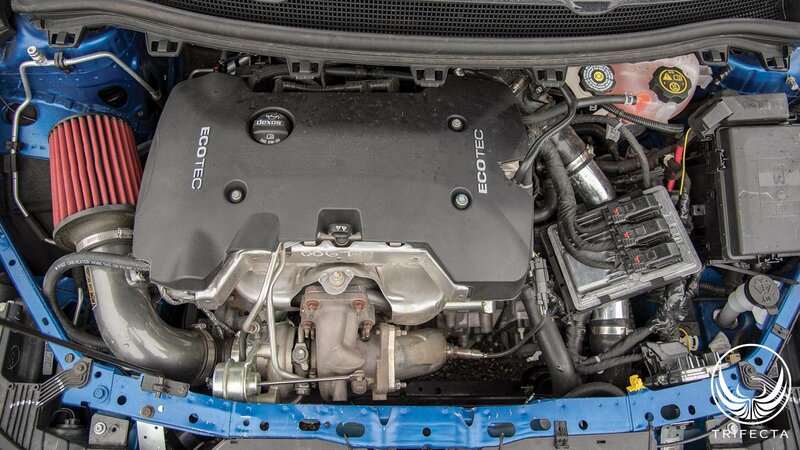 Since the Cruze debuted almost 8 years ago in North America, it's been every Cruze enthusiast's dream to swap a larger engine into one. We kept waiting and waiting for Chevrolet to build a proper Cruze SS, to no avail. 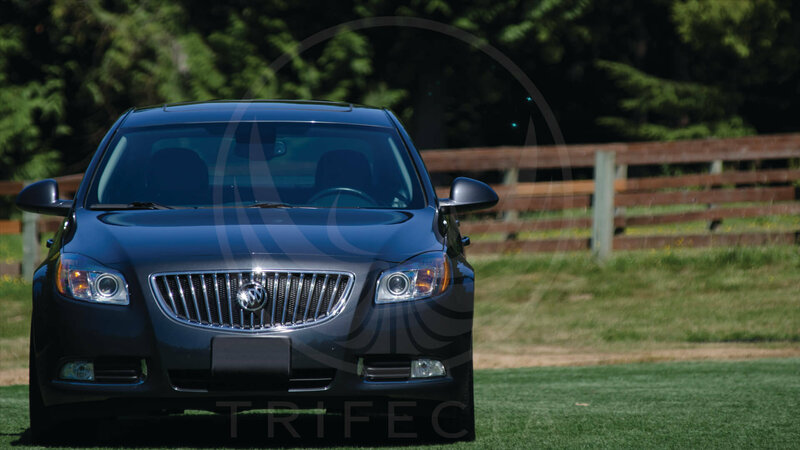 Today, TRIFECTA is proud to announce the dream of a car worthy of being called a Cruze SS, has become reality. We started with a 2017 Chevrolet Cruze hatch. We took the original engine and transmission out, and swapped in an engine and transmission from a 2017 Chevrolet Malibu Premier. This is the 2.0L turbocharged engine coupled with the 9T50 front wheel drive 9 speed automatic transmission. 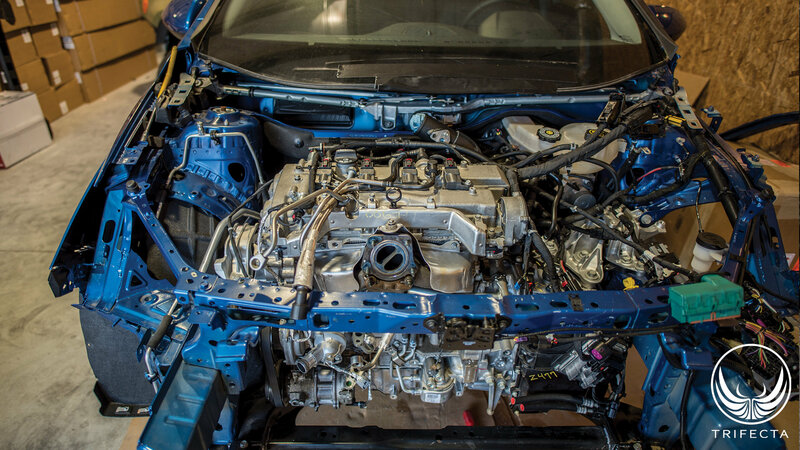 With proper calibration work, this engine and transmission in its stock form can deliver about 300HP at the flywheel. This equates to around 240HP at the wheels, which is about 70WHP more than the LE2 can produce with a proper tune. We didn't stop there, though. We also installed aftermarket cams to increase airflow and fuel pump supply. And we added our "T40" turbocharger, which produced darn near 400HP when we tested on a Chevrolet Malibu recently. 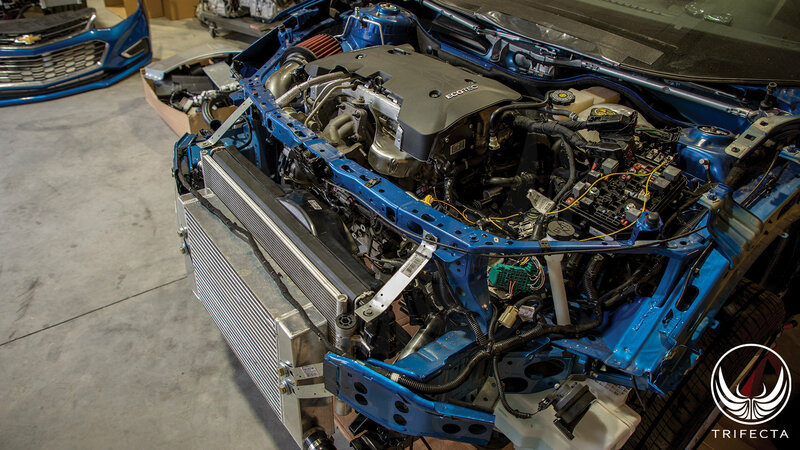 We have an aftermarket front mount intercooler for tuned up 2.0T engines, a cold air intake, and a custom dual-outlet exhaust system. The challenges were many in building this car. Which axles to use? Which mounts? 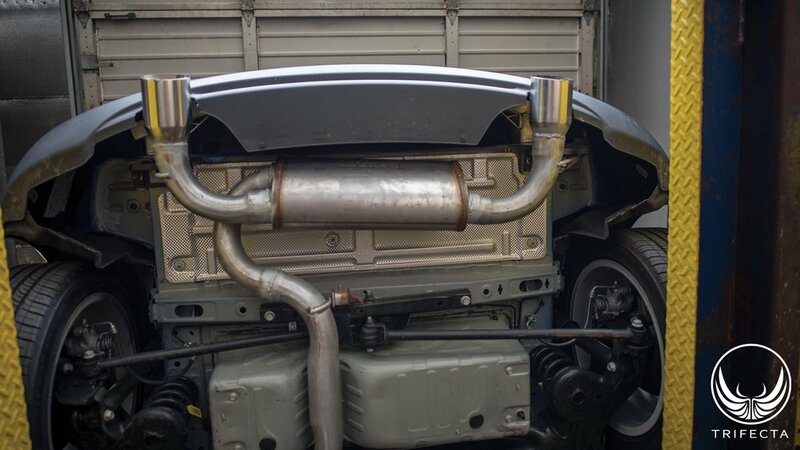 Where to move the radiator to make room for the turbocharger? The wiring! 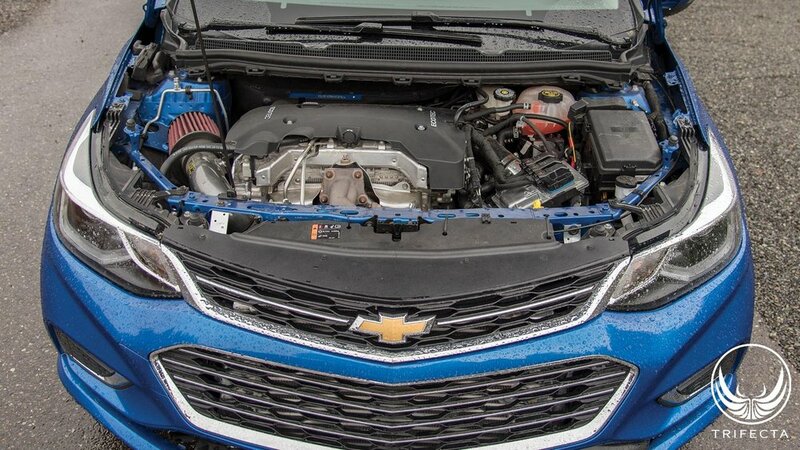 The engine may fit in this car like it was designed for it, but there couldn't be much more different with the wiring harness on the Cruze vs the Malibu. But, in the end, it all works, as if Chevrolet themselves built the car. You push the start button and the engine roars to life through the custom exhaust system with an aggressive yet tasteful note. It may seem like the little things, but it's the little things that matter: The gauges work. The heater works. The brakes work. Shift it into Drive, and you're off. The 9sp automatic transmission peels through the gears smoothly. Put the pedal down, and hold on. The car is a work in progress, there's still a few things that need to be done with it (like fabbing a bracket for the ECM instead of using zip ties lol), but make no mistake, the Cruze has entered a new age. This is an in-house development project designed to showcase what can be done with the Cruze, but also a learning exercise for us as there were many engineering and calibration challenges that needed to be solved along the way. As with any hardware project we undertake, we may always consider bringing a big project to market if there were sufficient demand for it! Awesome! U guys doing great job! Anyways there was a showcase in Brazil about a Chevy Cruze SS shown at Pao Sao showcase center. But it looks pretty cool!